I am Isambard Kingdom Brunel, different to other men, I solve insoluble problems, dream up designs never dreamt of before, and make them happen. Like railways across all terrains, great locomotives pulling freight cars at speeds beyond imagining. I have designed dockyards, and trans-Atlantic steamships. Let them laugh at me, let them say I am cruelly mistaken in my dreams. Plodding Bristol traders with feet of clay. Hah ! Just see my glorious bridge, suspended, soaring through the sky, so elegant, so incredibly long, and marvel. I shall see how soon it is before one of those traders makes use of my bridge. Yes, Brunel in Britain and Eiffel in France were engineering giants whose combination of bold vision with careful execution inspired later generations of engineers. It’s a shame the pols look elsewhere for inspiration. Yes, good point – bureaucracy instead of bold vision ? That’s one way they fail. Another is bold vision with slapdash execution. He was quite the engineer. I can imagine him standing there smugly as he waits for the traders who scoffed to use the bridge. Yes- I imagine that he was a charismatic and free spirited man. I find him inspiring. Pleased you liked the piece. the phrase..’let them laugh…’ just popped into my mind from nowhere, guess I was imagining being him ? Wonderful photos! He really does look the part of someone who would create such a lofty bit of architecture. Thank you – pleased you liked the photos. I agree he does have an aura of bravado about him. Very creative. Love the voice and characterization. Well done. Thank you Rochelle, glad you liked it. 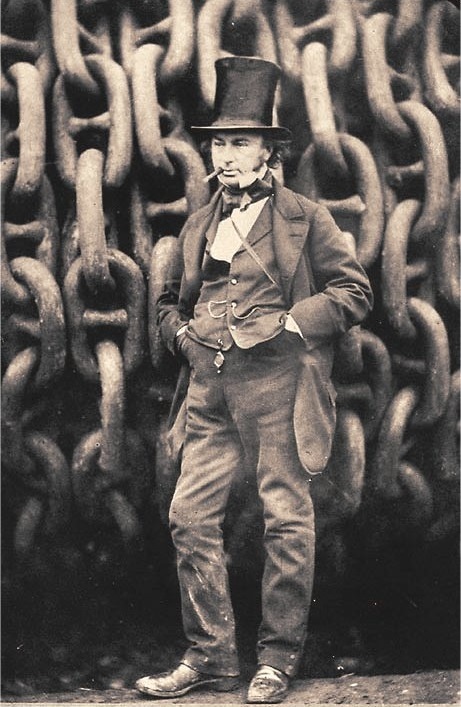 I did feel fired up by Isambard Kingdom Brunel…what a name ! Love this! What a great take – I almost went with the bridge but never would have done it justice as you have! Thank you – most kind. Isn’t the bridge amazing. I stayed in an old hotel right next to the bridge once and marvelled ! Think that inspired me. It is… One day I’ll see it “live”! That’s marvelous, I could totally hear him. Great to see you on Pegman! Thank you – so pleased you could hear him. I do admire his free thinking talent.